Gold prices were zoomed higher Thursday after Europe unveiled a plan to save region. NEW YORK ( TheStreet ) -- European leaders finally decided on some kind of plan to lift Europe out of an almost two year old debt crisis and investors voraciously bought up stocks and gold. Gold for December delivery closed $24.20 higher at $1,747.70 an ounce at the Comex division of the New York Mercantile Exchange. The gold price has traded as high as $1,749 and as low as $1,707.20 an ounce while the spot gold price was popping $19, according to Kitco's gold index. Silver prices jumped $1.80 to close at $35.11 an ounce while the U.S. dollar index was tanking 1.74% at $74.89. Although details are still being hammered out, Greek bondholders will take a voluntary 50% haircut on bonds. Greece can also borrow an additional 30 billion euros from the bailout fund to partly insure new bonds. European banks will have to raise 106 billion euros by June to protect against losses and the bailout fund could be leveraged to as much as 1 trillion euros. The news was enough to lead investors into stocks and also into safe havens like gold. Gold prices had rallied almost 7% in four trading sessions and some mild profit taking weighed on prices, but as the euro continued bouncing, the dollar tumbled and gold zoomed higher for a fifth consecutive session. Traders were also reluctant to abandon the metal when there are still so many questions marks surrounding Europe's solution to its debt crisis. "We still see further upward potential for gold," wrote Commerzbank in a morning note, "as the crisis is not yet fully resolved and there are still substantial risks." 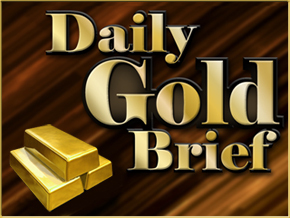 "Gold over $1,700 is positive," says George Gero, senior vice president at RBC Capital Markets, "and now needs confirmation for higher open interest, higher moving averages and higher closing prices." Martin Murenbeeld, chief economist at DundeeWealth, still thinks that the European Central Bank and the Federal Reserve will be forced to pump more money into the system to stabilize their respective economies. "The more liquidity that is put in the system, the higher goes the gold price," he said. Murenbeeld also says the U.S. dollar is fundamentally weak, which means central banks might want to diversify out of dollars into gold. That trend has already been seen as central banks have become net buyers of gold rather than net sellers. Murenbeeld says that central banks could collateralize their gold. PIIGS -- Portugal, Ireland, Italy, Greece and Spain -- collectively own 3,000 tons of gold. Italy, which owns the most at 2,400 tons, has a history of using gold as collateral. "I don't think the gold will come on the market but that it will be collateralized." Tongue and cheek, Murenbeeld speculates this could be a way to get China interested in helping Eurozone countries, swapping gold for cash. French president Sarkozy is reportedly in talks with Chinese president Jintao over securing cash from the country and the head of the European Financial Stability Fund, the 440 billion euro bailout fund which officials are hoping to leverage to 1 trillion euros, is headed to China and Japan in hopes of also locking in more aid. Gold mining stocks popped Thursday. Kinross Gold ( KGC - Get Report) was adding 2.56% to $14.85 while Yamana Gold ( AUY - Get Report) was rising 4.10% to $15.60. Other gold stocks, Agnico-Eagle ( AEM - Get Report) and Eldorado Gold ( EGO - Get Report) were trading mixed at $42.95 and $19.06, respectively. Two stocks to watch: Barrick Gold ( ABX and Goldcorp ( GG - Get Report), both of which reported solid third quarter earnings and shares were up just over 1.5%. Barrick made $1.39 a share, which beat expectations by 11 cents, on 1.93 million ounces of gold production. The company reaffirmed its 2011 guidance of 7.6-7.8 million ounces, although the company lowered the high end of the estimate from 8 million ounces. Net cash costs for 2011 rose from $290-$320 to $330-$350 an ounce due to lower copper prices, which Barrick uses to offset mining gold. Barrick also raised its quarterly dividend by 25%. The company is hoping to increase annual production to 9 million ounces in 5 years. Goldcorp met expectations of making 57 cents a share on 571,500 ounces of gold sales and 592,100 of gold production. Goldcorp stumbled in the second quarter when it was forced to lower production guidance for 2011 due to floods and a forest fire at two of its mines and lower than expected production from Penasquito, one of the largest silver mines in the world. CEO Chuck Jeannes reaffirmed current 2011 guidance of 2.50-2.55 million ounces at total cash cost of $180-$220 an ounce, including silver sales, and $500-$550 an ounce, just factoring in gold sales. Jeannes is adamant that Goldcorp will still grow 60% by 2015 bringing 6 mines into operation in 5 years. "Our five year plan taking us to 4 million ounces in 2015 remains fully intact."